Iphone Active: New security flaw: iOS 6 allows skipping the option "No changes"
New security flaw: iOS 6 allows skipping the option "No changes"
In iOS 6.1 does not serve to discover him security flaws. We talked about the problems with Exchange and the possibility of bypassing the security code lock screen. Apple is working on a software update to address these shortcomings in the coming days. Now the company has admitted another security flaw, but is unlikely to be fixed urgently. 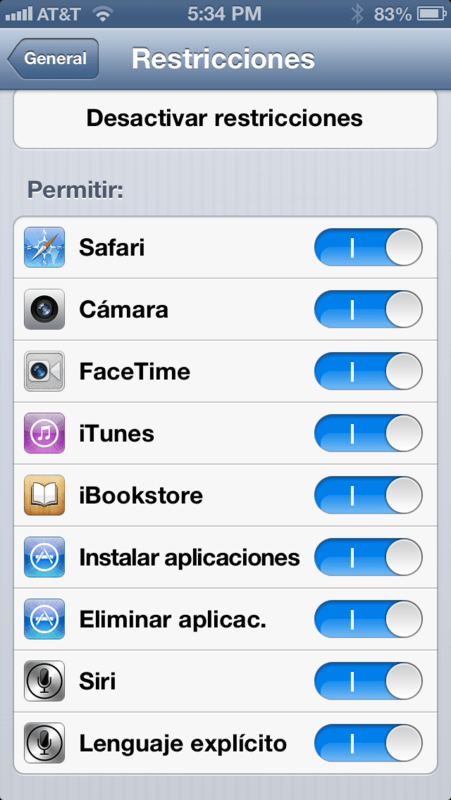 6 allows us to activate iOS Restrictions so others can not make changes, for example, in our iTunes accounts. Well, it has been discovered that anyone can take an iPhone or iPad to an institution, for example, and bypass the restriction. In this way, by going to the App Store will see that we still find the option to leave the account set up to get us into our own and download what you want in that iOS device. But this is not the only "back door" to bypass the restriction configured in Settings. We can also do this by going to the iTunes App Store. Apple has said that this error may temporarily restrict application downloads, which complicate the work to companies or institutions affected by this security breach so elementary. Article New security flaw: iOS 6 allows skipping the option "No change" was originally published in News iPhone .